Welcome to our Saturday issue, after being surfing in different Tags we collected our Top 10 for your attention. As always we have chosen different styles and mediums, no matter what the Artists have chosen you can feel the love and inspiration behind their works. Beautifully presented and as may noticed we encourage to make some process photographs, that helps to identify how difficult the process of your creation was. We also would like to encourage our Artists to visit the blogs of others and give them support, only them we all become stronger and with that you will probably make some new friends and supporter who sometimes may follow you for a long time. Now enjoy the selection and if you like what we are doing then give support to our Magazine, the Steem payout of Magazine goes to lease Steem Power so that we could give you, our Artists stronger Upvotes. 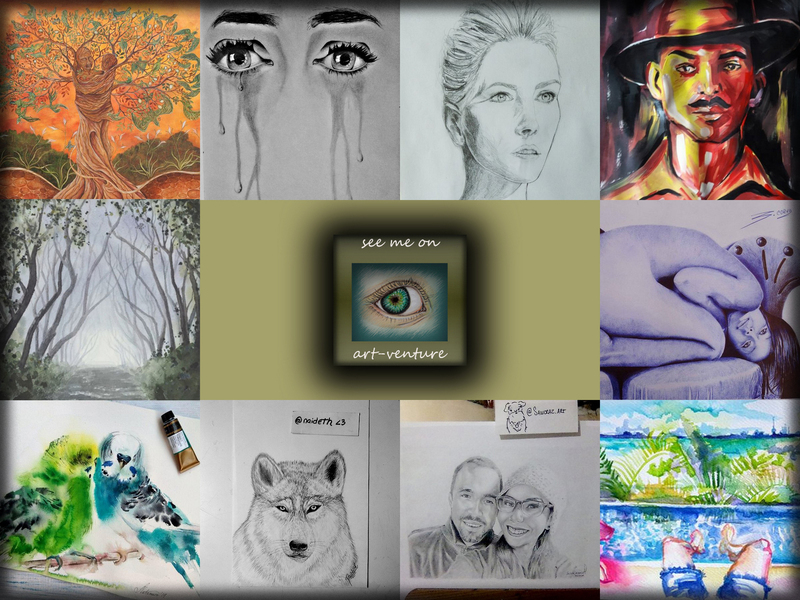 We also would be grateful if anyone else who would like to support Art on Steemit wants to delegate your Steem Power to support talented and undervalued Artists.